What is a wholesale MLM lead? I define it as a network marketing lead that you purchase from a lead company at a discounted price. Please let me start this article by telling you that I am not a big fan of buying leads. Although some people have experienced phenomenal success purchasing leads, most people get horrible results. I think generating your own leads is a much better options. The biggest reason I don’t think you should buy leads is because (1) they are opportunity seeker leads, not network marketing leads, (2) most leads are sold to 5-10 different distributors, and (3) most leads aren’t fresh. Simply put, you really don’t know what you are getting when you buy leads. 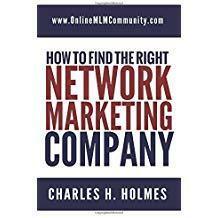 If you decide to purchase network marketing leads anyway, you should find a good wholesale MLM lead source. There are many different lead companies online. To find some of them, simply do an internet search for the term wholesale MLM lead. I’d recommend you try to find at least 3-5 different lead companies to choose from. Make sure you research each company thoroughly to see what you can learn about the company. Look for testimonials, complaints, history, reputation, etc. I recommend you type in the name of the lead company plus the word scam to see what comes up in the search engines. Once you find a lead company you are comfortable with, purchase a small amount of leads and test your results. I recommend you spend no more than $100 on your first purchase. Call the leads and see what type of results you get. Evaluate your results. If you received a good return on your investment, you can feel comfortable purchasing additional leads. If not, you’re not out too much money. I think a good wholesale price is $1 per lead or less. Some leads cost upward of $10 per lead. Personally, I think that is a bit steep, especially since you don’t really know what you are getting. But you will never know if a lead source is good or not, if you don’t test your results. Don’t focus solely on cost. Instead, think of return on investment. For example, if you purchase 100 wholesale leads for $250, you spent $2.50 per lead. Hypothetically, let’s assume that you signed up 2 new distributors from those 100 leads. That means you spent $125 per new distributor ($250/2). Does that make sense? On the other hand, let’s assume you spent $600 for 200 leads, from a different lead company. In this example, you paid $3 per lead ($600/200). Of those 200 leads, you sign up 5 new distributors. That means you spent $120 per new distributor ($600/5). In this example, you paid more per lead, but you got a better return on your investment. In the previous example, you paid $125 per new distributor. In this example, you paid $120 per new distributor. If you make more than $125 when you sponsor a new distributor, you can keep buying leads forever. You get your initial investment back right away. And you can earn residual income from future orders placed by your new distributor. However, if you earn less than $120 for signing up a new distributor, you wouldn’t want to keep buying leads, because you would lose money. In this example, your more expensive leads were the best option. But if you hadn’t of tracked your results, you wouldn’t have known which leads were better. Remember, return on investment is always more important than the amount of money spent. That’s why you have to track your results. Only then will you know which lead company is the best wholesale MLM lead source. In summary, I’m not a big fan of buying leads. But that doesn’t mean that purchased leads aren’t a good course of action to grow your business. If you decide to purchase leads, try to find a good wholesale MLM lead source. Start with a smal purchase and test your results. Try a few different companies to find out which company gives you the best return on your investment. Once you find a lead company you are comfortable with, you can keep doing business with them. What are your thoughts about wholesale MLM leads? What type of results have you gotten by buying leads? Leave a comment and let us know. I am in agreement with you and the other commenters on this post. I don’t think that you should ever buy leads, I think that you should go after them on your on. I just don’t think that purchasing leads could ever be a good idea. Thank you for the post on this topic! Reading this post immediately makes me think of “Glengarry Glen Ross” (which is a great movie about salesmen, by the way). Of course, in this post, you’re talking about buying the leads rather than stealing them! Anyway, buying anything should be thought of from a “return on investment” standpoint, and leads are no exception. The one caveat I’d raise is that you can’t buy TOO small a sample or you’ll risk making an investment decision based on inaccurate data. I’d suggest that you need to buy at least 100 leads to get good statistical results. Buying 10 leads (if you could even do so) certainly limits the money you risk, but the sample size is so small that you likely won’t get good data from it. I agree, buying 100 leads is the minimum, so you get a decent sized sample and can make an educated decision. I also do not agree with buying wholesale leads. You really do not know what exactly you are receiving. I believe with the right system, a person can create their own leads that are much more cost effective. I do like the way you pointed out that if you are going to buy leads, test with small amounts. Keeping track of the results will show you if you are gaining at all.Great post Chuck. I wanted to mention that if you have a very unique selling proposition, buying leads may work well for you. If you are pitching people with something they haven’t heard before, they will probably listen. If you are buying leads and you are involved with an MLM that regularly has “lead buyers,” odds are people have heard the pitch over and over. Find your own way to get leads. Purchasing a website is not super expensive and it is a great way to get leads. There are many ways other than buying them. If nothing else, call people; you will get better leads than the ones purchased. Yes, there are many ways to get leads. The best way is to find a way that works for you and then commit to it.